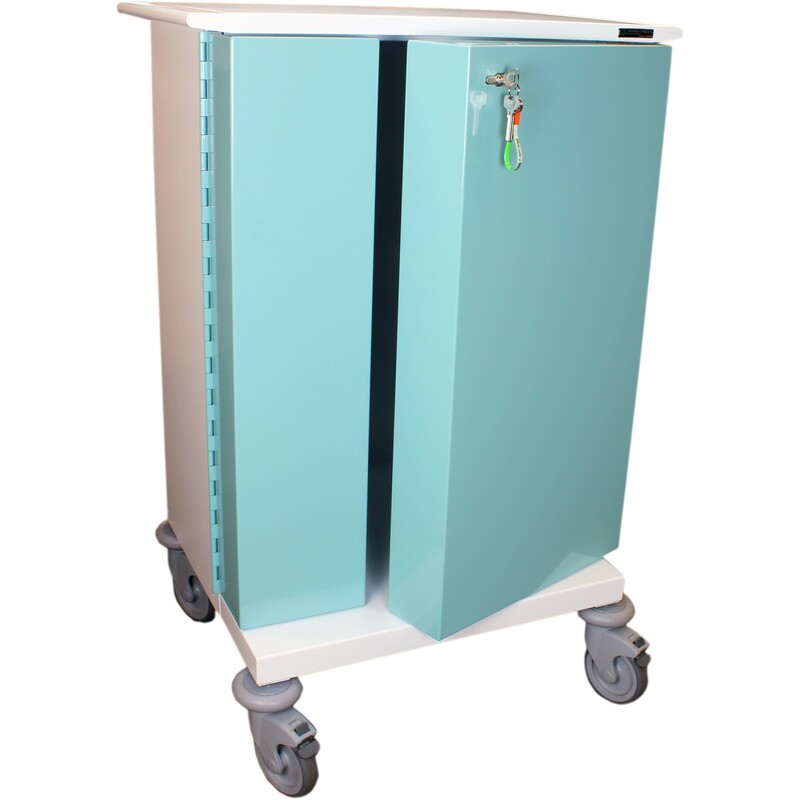 SafeAway are proud to offer this original packaging trolley. 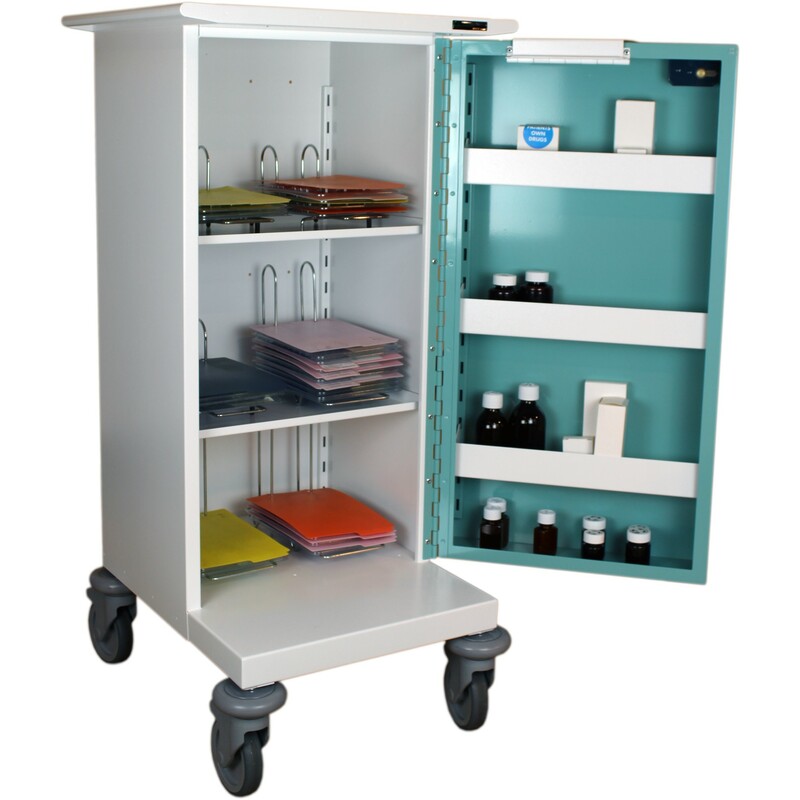 This superior specification trolley is designed to survive the rigours of a dispensing round. The lightweight and yet robust design features intelligent design features. 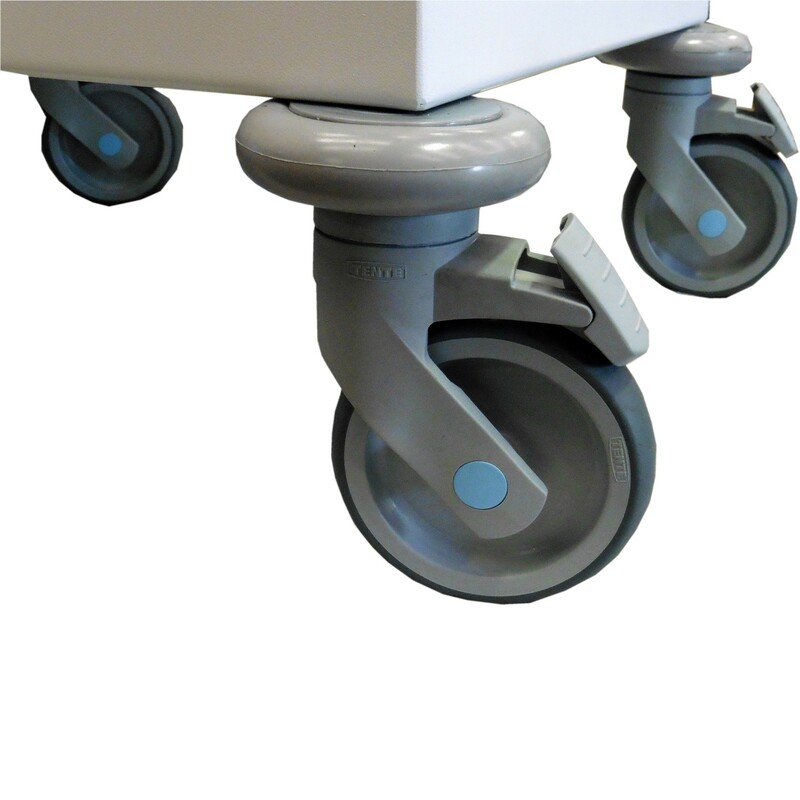 All MDS trolleys feature 4 reinforced, braked anti-static locking castors resulting in superior manoeuvrability. 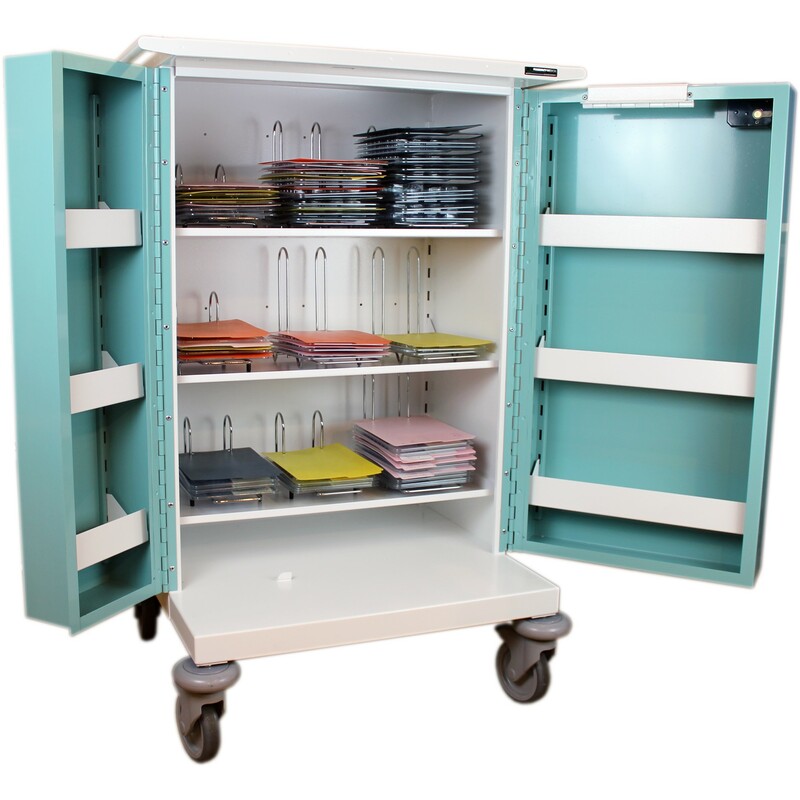 Our MDS trolleys offer a comprehensive range of storage options. 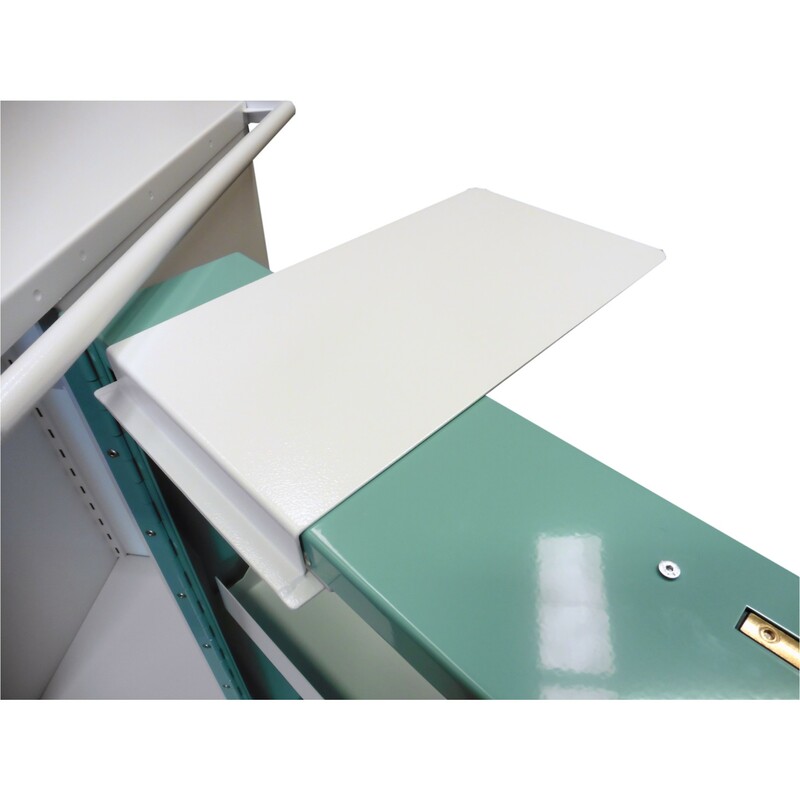 From MDS trolleys and Multimeds through to original packaging trolleys. Saves time and money for the pharmacy. Drug and medicine dispensing is conducted at the bedside. 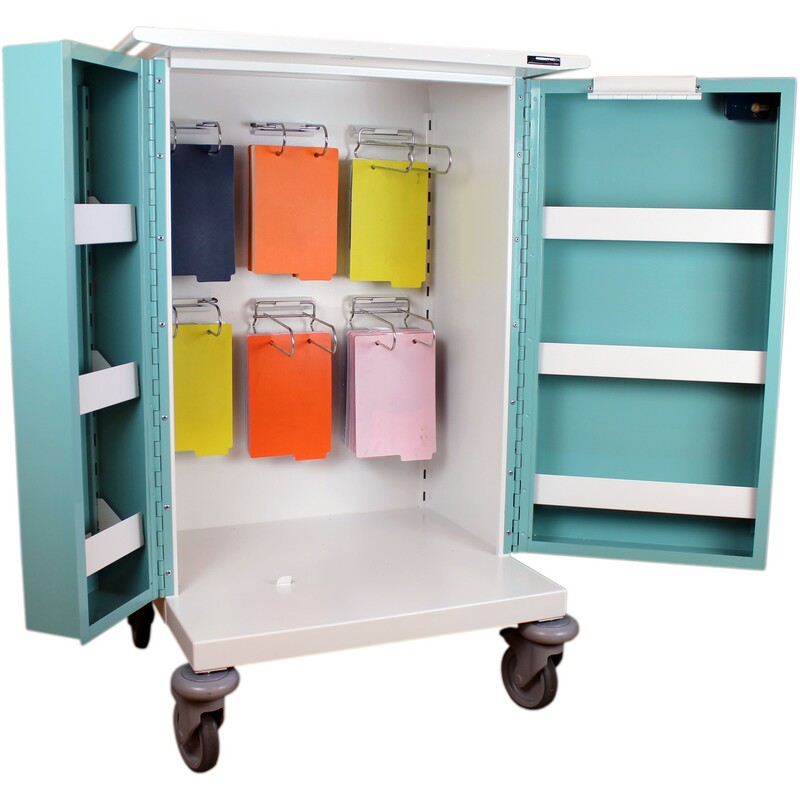 Our trolleys are manufactured in the UK for a high quality product. Four swivel castors allow for easy manoeuvrability through the confines of a building. 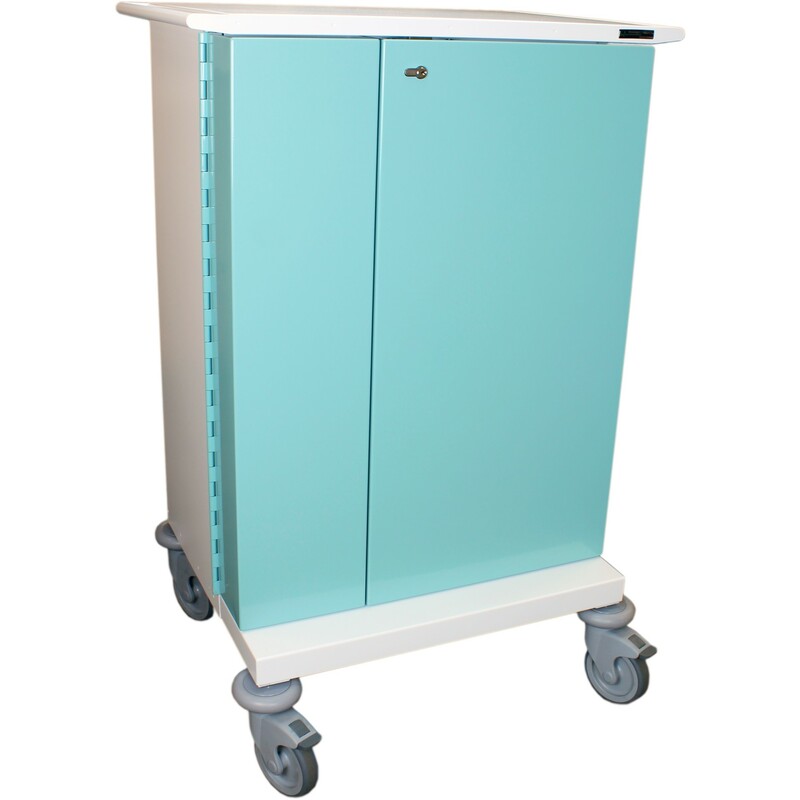 This medium original packaging trolley will accommodate the medication in its original boxes as supplied by Pharmacies. 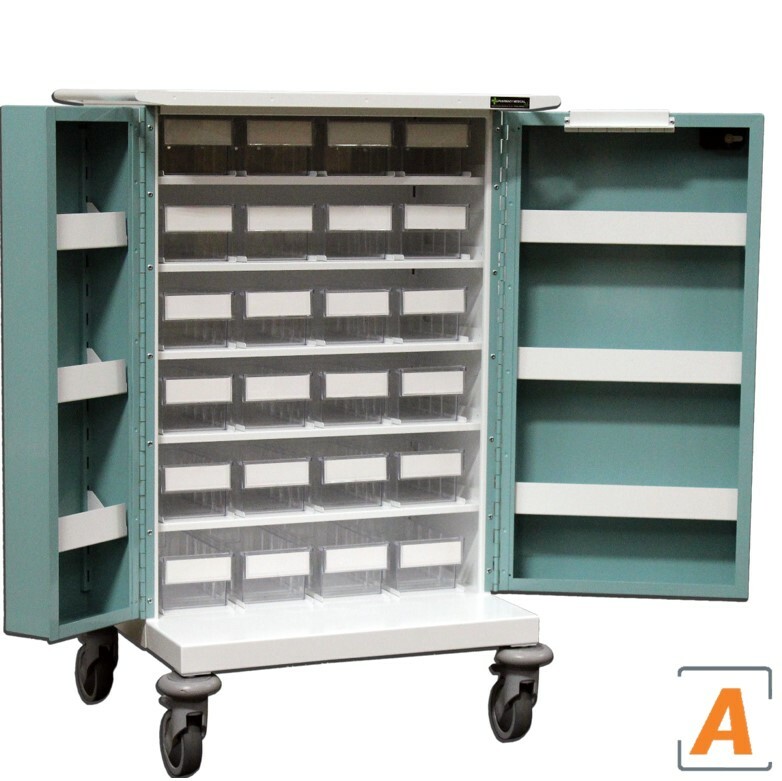 The residents medication sits within an individual drawer within the trolley. (They are not suitable for the storage of controlled drugs).